In the midst of creation – the quick and dirty test is handy. In her book THE CREATIVE HABIT choreographer Twyla Tharp fiercely describes the makers hunt in these first steps. 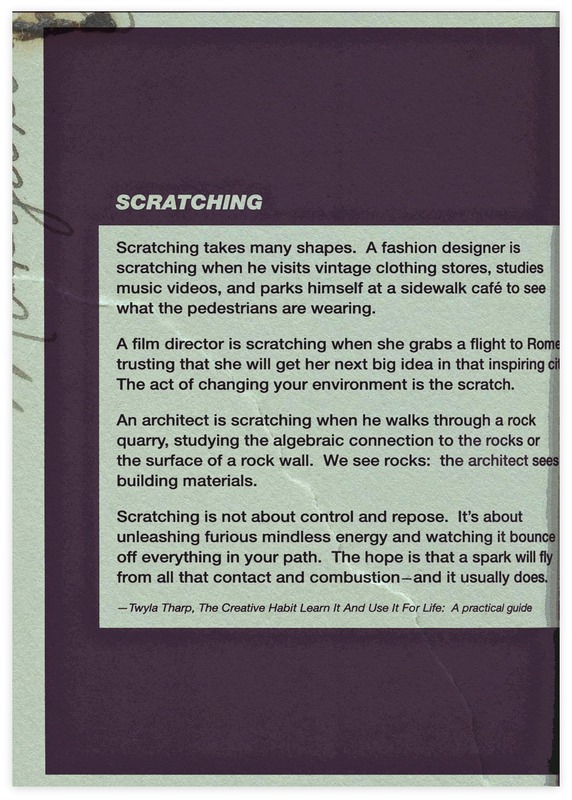 Scratching is a structure – a superpower that gives the project maker purpose and direction. A spectrum of ideas start to ripple and the (unpredictable adventure) unfolds. Be sure to pack a guide. 1. Scratch in the best places. Go immediately to the best. 2. Never Scratch the same place twice. Scout new routes. 3. Maintain the White Hot Pitch. Don’t think ahead. Trust the unconscious rush and let it hurtle. Creativity is a pathway to something sacred. 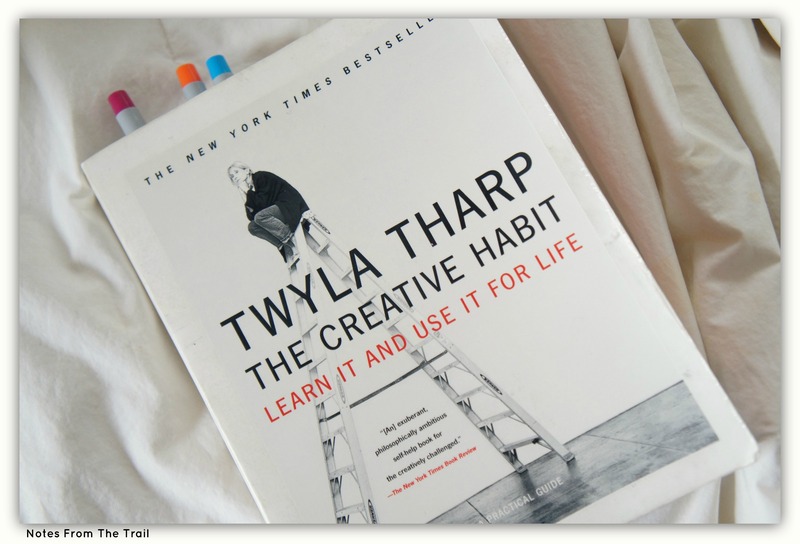 Twyla Tharp tells us to take a walk in the middle of creative frustration. But to add utility to it. And to come back with something in hand. It’s your art. Savor it. Rise up. And claim it. This entry was posted in Essential Dish, Uncategorized and tagged Creativity, Project Making, Rules, Scratching, structures, Superpowers, The Creative Habit, Twyla Tharp. Bookmark the permalink.